Hurley’s Restaurant is located in downtown Yountville, in the heart of Napa Valley. The atmosphere is casual and relaxed. The gluten-free menu largely mirrors the main menu. We found our server knowledgeable about celiac and cross-contamination, and when she didn’t know about a particular item, she was nice enough to check for us. The kitchen was also very accommodating. My son ordered a burger but when they didn’t have a gluten-free bun, they offered to plate it with one we had with us (we travel prepared! haha). The menu is extensive with some interesting twists on the usual fare that offer something for everyone. 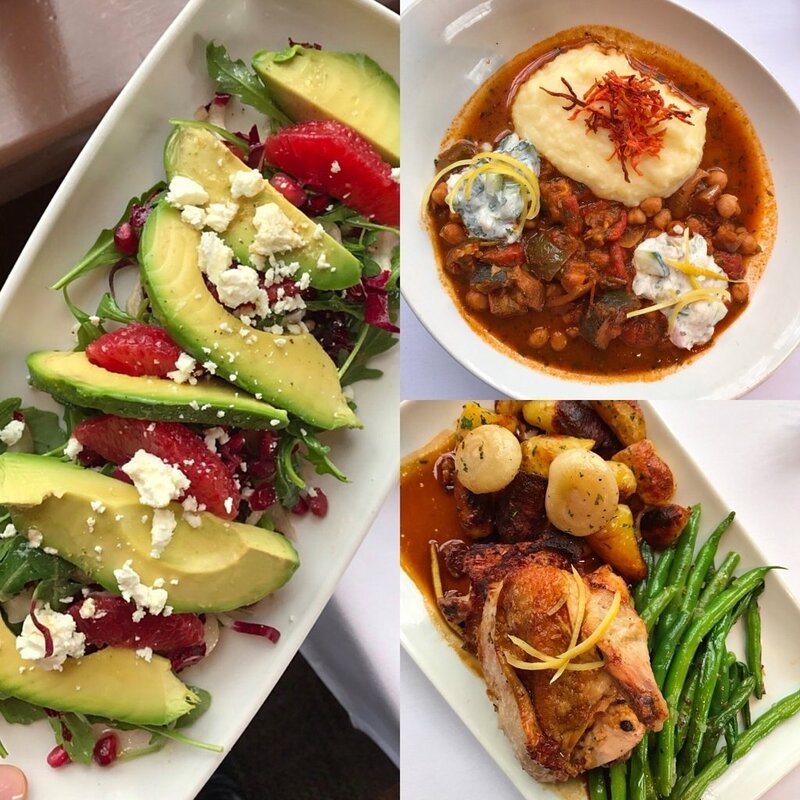 Dishes we tried: avocado and blood orange salad, cream of vegetable soup, rosemary and maple roasted chicken with roasted potatoes and green beans, cheeseburger with fries and Moroccan vegetarian tagine.